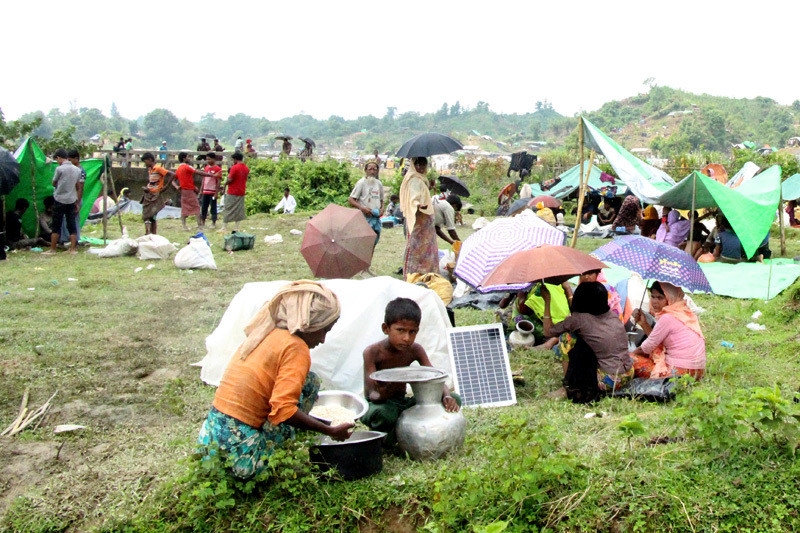 Bangladesh - IOM, the UN Migration Agency, has appealed for USD 26.1 million to meet the immediate needs of some 313,000 newly-arrived Undocumented Myanmar Nationals (UMNs) now sheltering in seven sites in Bangladesh’s Cox’s Bazar district. The Flash Appeal, covering the next three months, seeks USD 15 million for shelter and essential non-food relief items, together with management of the sites. Another USD 5 million will go towards water, sanitation and hygiene, and USD 3 million towards health care. 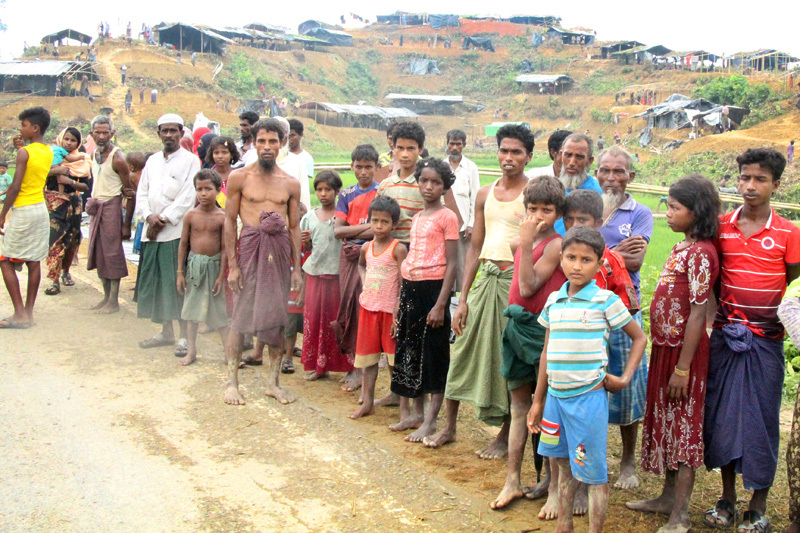 Another USD 3 million will provide protection for people living in the camps and the remaining USD 100,000 will pay for to coordination by the Inter Sector Coordination Group (ISCG). The IOM appeal is part of a broader appeal (ISCG Preliminary Response Plan) by all ISCG agencies operating in Cox’s Bazar USD 77.1 million. 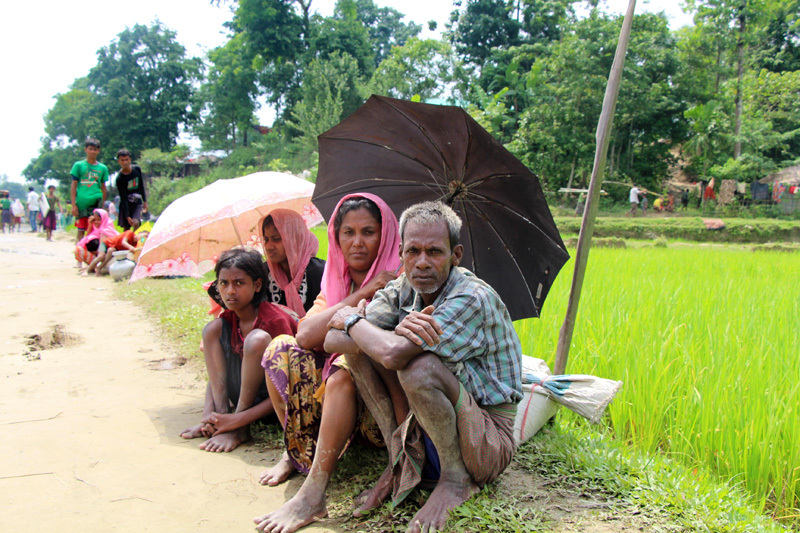 Yesterday IOM recognized the urgency of the relief operations in Cox’s Bazar by adding another USD 1.5 million from its revolving Migration Emergency Funding Mechanism (MEFM) to the USD 1 million already allocated last week. The mechanism allows IOM to respond to humanitarian emergencies as quickly as possible, before international donors agree to fund them. The UN Central Emergency Response Fund (CERF) has already allocated USD 7 million across multiple agencies in response to the ISCG appeal. But the funding shortfall remains significant and is likely to increase as people continue to arrive from Myanmar. “The number of arrivals and the speed at which they are coming – averaging 20,000 day for the past 16 days – is extremely challenging. 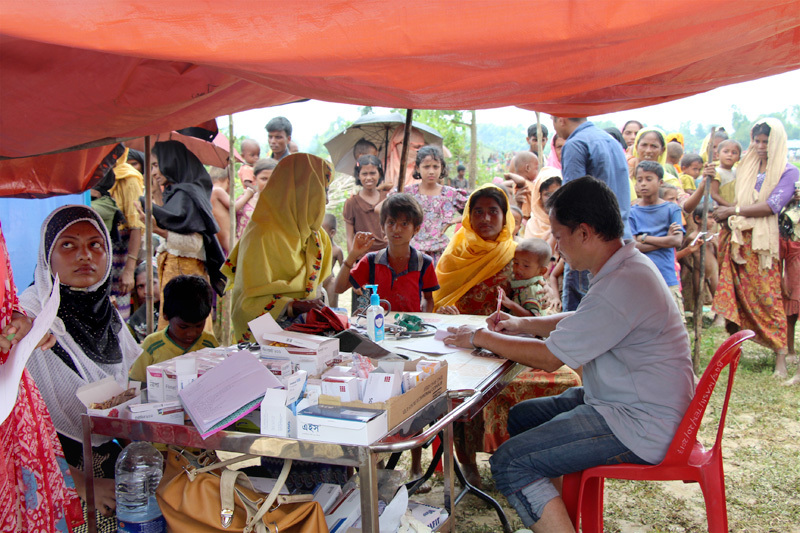 The MEFM is allowing us to bring in the technical experts and the supplies that we need to save lives immediately, and to plan ahead,” said IOM Bangladesh Chief of Mission Sarat Dash. 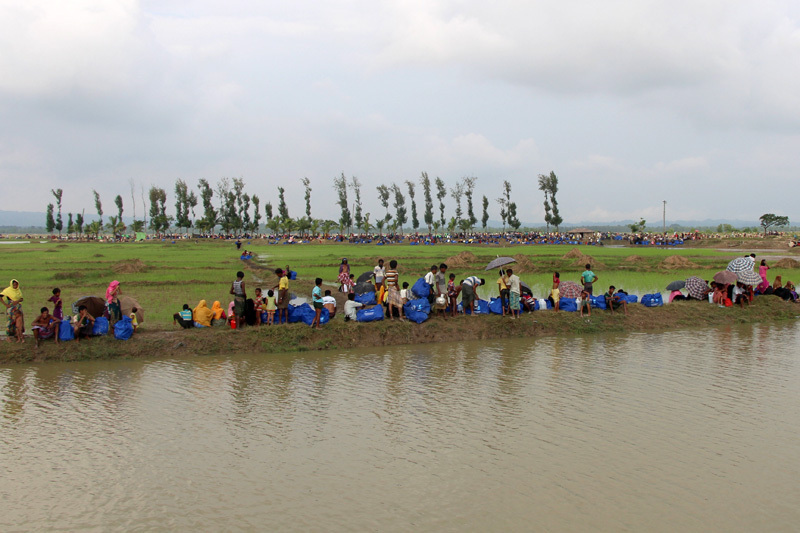 To date (10/09), 313,000 people are estimated to have crossed the border into Bangladesh from Myanmar since the latest outbreak of violence on 25 August. Large numbers of people are still arriving every day in densely packed sites, looking for space, and there are clear signs that more will cross before the situation stabilizes. New arrivals in all locations are in urgent need of life-saving assistance , including food, water and sanitation, health and protection. According to planners, a rapid, comprehensive multi-sector response is now needed, including 60,000 shelters, 4.5 million litres of water per day, 15,000 latrines, and 1.5 million kilograms of rice per month. 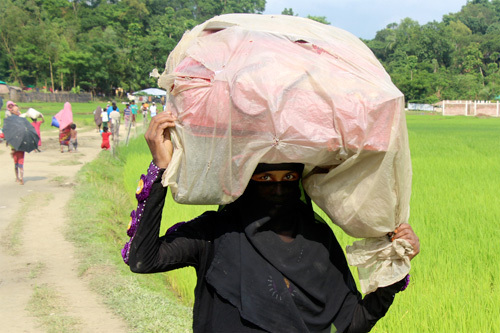 “With the movement of people showing no signs of stopping, it is vital that agencies working in Cox’s Bazar have the resources they need to provide emergency assistance to incredibly vulnerable people who have been forced to flee their homes and have arrived in Bangladesh with nothing,” said Robert Watkins, the UN Resident Coordinator in Bangladesh. “Before this latest crisis, agencies were already working on the ground, but the influx has overwhelmed the services that were in place,” he added. 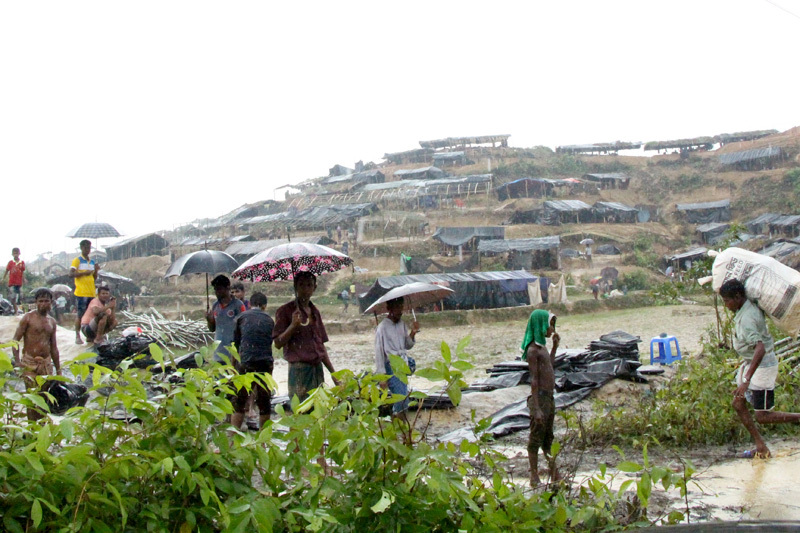 ISCG agencies conducted a joint rapid assessment last week and the ISCG is expected to develop a full operational plan incorporating the needs of all UMNs and registered refugees in Cox’s Bazar to the end of 2018. 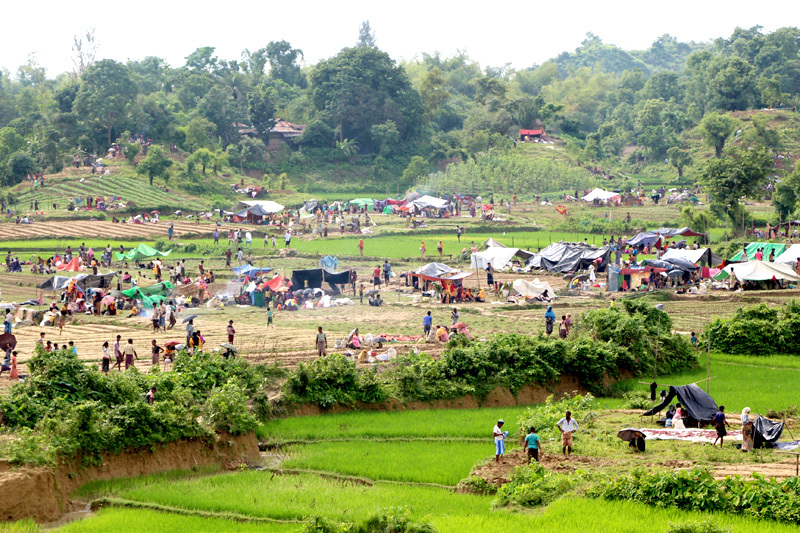 Prior to the latest influx, IOM Bangladesh was coordinating humanitarian assistance to some 200,000 UMNs living in makeshift settlements and host communities in Cox’s Bazar. Lifesaving services delivered by IOM and its partner agencies include clean water and sanitation, shelter, food security, health care, education, and psychosocial support for the most vulnerable individuals, many whom are suffering from acute mental trauma or are survivors of sexual violence. Most of the people crossing the border are women, children and the elderly, many of whom are vulnerable and lack the ability to take care of themselves.